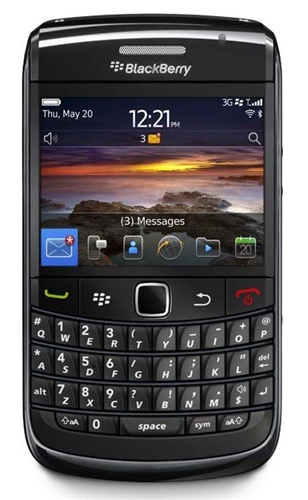 Stay connected to everything that matters to you with the BlackBerry 9780. Social Feeds app simplifies all your your social networks into a single in-box, everything from FaceBook to Twitter. The new desktop class web browser lets you check up on any website you choose. BlackBerry App world gives a choice of thousands of apps to download. All of this together with all the BlackBerry services you love. Engage your world with BlackBerry 6 OS on the BlackBerry Bold 9780. Multitask with the application switcher, get updates from your social networking and RSS feeds in one place and enjoy an all new web experience with tabbed browsing. Keep up with your busy days as you listen, watch, type, talk and work. The powerful BlackBerry Bold smartphone battery provides plenty of time between charges so you've got the power to get things done. Use a Wi-Fi® network to check email, shop online and even make calls. Seamlessly switch back and forth from your carrier network to wireless home networks and public hot spots to access all your BlackBerry services. BlackBerry Bold smartphones make it easy to keep in touch from almost anywhere in the world on 3G networks. Download, browse and stream on global networks with 3G speed and reliability. Enjoy clarity and color that exceeds expectations. The BlackBerry Bold smartphone display delivers exceptional visual quality that's designed to bring email, videos, websites and images to life. Take your music and videos with you. You'll have all the room you need with the ability to swap in a microSD card. You can even upload your photos and videos to your favorite social networking sites or email them right from your smartphone.